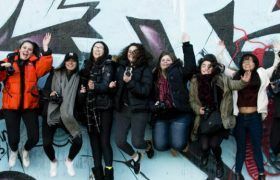 Climate change, migration, natural disasters, inequality, energy security and water insecurity are just some of the challenges facing the next generation, which geographers must help address. A key element of the Edexcel A Level and GCSE B specifications offered is the interrelationship between people and their environments alongside an understanding of the opportunities, problems and conflicts that result. These courses provide an opportunity to research exciting contemporary case studies and explore relevant geographical theory. Fieldwork is undertaken in partnership with the Field Studies Council at Walton on the Naze and East London. Visiting speakers are also arranged as part of a varied learning programme. Geography is highly valued by universities as an A Level choice, and in 2015 The Guardian identified Geography as the ‘must-have A Level’. We are a supportive and friendly department with extremely high expectations of our students. 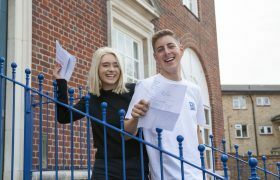 It is pleasing that large numbers of Brampton students have progressed to read Geography at university; destinations include the University of Cambridge, Durham University, University College London and King’s College London. A level Geography is a wide ranging subject which examines the processes that have shaped the physical landscape around us, and how this landscape influences the distribution of population, settlement and economic activity over time and space. A key element of this course is the interrelationship between people and their environments and an understanding of the opportunities, problems and conflicts that result. These are examined using case studies at a variety of scales. This is an issues-based linear specification that enables students to explore and evaluate both contemporary and traditional areas of physical and human geography. 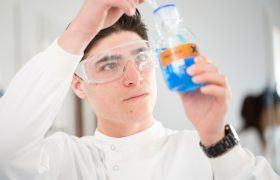 Much of the specification links directly to GCSE study areas and will enable students to expand upon existing, and develop new skills, knowledge and understanding. It is important to realise however, that the level of complexity and detail goes well beyond that required for success at GCSE. While it is not necessary to have studied GCSE Geography to do well at A level, it is important to have an interest in the subject and to recognise that extra work, and particularly background reading and the development of a geographical vocabulary, will be required. The Brampton course is taught by highly experienced A level Geography teachers. 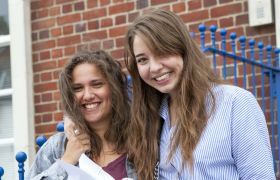 Results in the department have been strong over the years – 92% of our students in the last 2 years have gained A* – B grades, with students progressing to read Geography at the University of Cambridge, Durham University, King’s College, London and University College London. 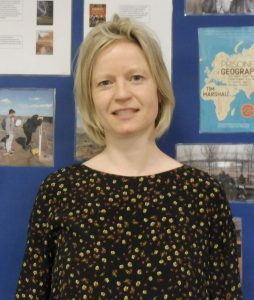 Lucy Wood is a highly experienced teacher of A level Geography. She studied Geography (BSc) at Durham University and then gained her PGCE at the Institute of Education. Lucy taught at the La SWAP consortium of schools and at Fortismere before coming to Brampton and is also an A level examiner for the Edexcel board. 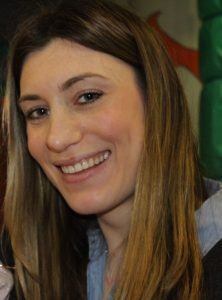 Dominique studied Geography (BA) at Leeds University and then gained her PGCE at Middlesex University. She has taught Geography at Mill Hill County High School for six years as well privately tutoring the subject throughout this time. When she is not teaching she is looking after her two energetic young girls who keep her very busy and when she can, she likes to go to Stamford Bridge on a Saturday afternoon to support Chelsea Football Club. I was disillusioned with regards to my future after receiving poor grades at both AS and A-level at my previous school. I felt they were not a fair reflection on my potential and was disappointed with the way my school had handled my education in 6th form. The results I had gained would have meant that I could only attend universities that were of a reasonably low standard and for a while I persuaded myself that, with all my friends moving onto university, I should simply follow even it if meant going to an undesirable university. However after lengthy discussions with my parents, I soon began to realise that this was not the right decision to take and therefore decided to look at various 6th form colleges within my area. There were various colleges that I looked at yet few seemed to meet my needs and were at times unhelpful. However I eventually came across Brampton College. I attended a lengthy interview with the headmaster in which I explained the difficult situation that I was in and I was simply astonished by the willingness that the school displayed in offering to help me. My parents were also taken aback by the college’s setup and I knew Brampton was the place for me to achieve my desired goals. Brampton College immediately presented me with a revolutionary style to learning. This ranged from the constant attention given to each student both in and out of class to weekly tests set in exam style conditions. This was so helpful as you gained a personal relationship with each of your teachers in your small classes and felt comfortable to ask any question you my have regarding your subject, rather than shying away as one may do if put into large, over-powering classes as experienced in other schools. The small class sizes also meant that your weaknesses in subjects were immediately identified and could be corrected as soon as possible. I remember gaining more and more confidence every time I walked into class of which was a new feeling entirely for me as my previous school often did not have the time required to give you the attention that Brampton could. The college offered a friendly environment which I still believe is unrivalled by any other college or school, by the way you were allowed to call teachers via their first names, making you feel mature and almost on a level platform. Despite the work-load, there were various outlets of stress for students such as after-school football, where I gained many good friends. When exam day came I was nervous but not petrified like the majority of students around the country would have been because I knew Brampton had prepared for every possibility that the exams might throw at me and by this time examination conditions were second nature.